The scarves and shawls made using the Diamond Mesh Stitch look more complicated than they really are! 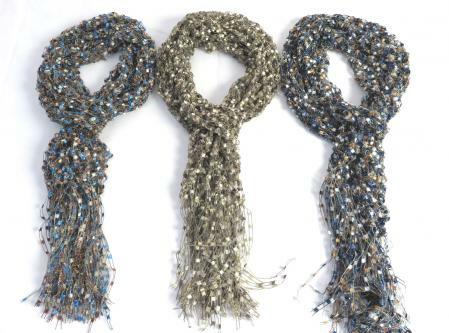 In this scarf pattern, Berlini Ladder Ribbon Glitter is used to make a beautiful, sparkly mesh scarf. Cut multiple strands approx 12" long. Attach to each end of the scarf to make fringe.